Original design vase / ceramic - SWING - Saveri Singapore Pte.Ltd. 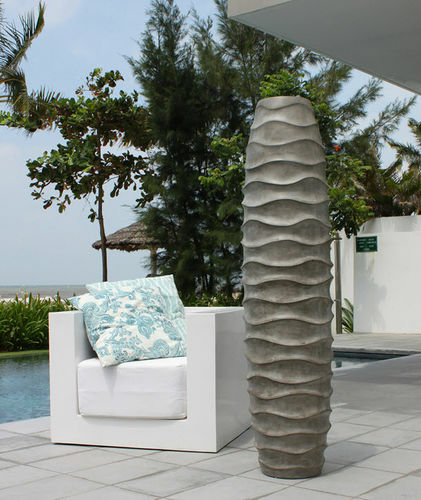 Decoration > Interior accessories > Original design vase > Saveri Singapore Pte.Ltd. We have interpreted the soft lines of dunes and transformed into a collection of vases and planters. Using pure concrete and polish by hand, gives the item a distinctive expression.